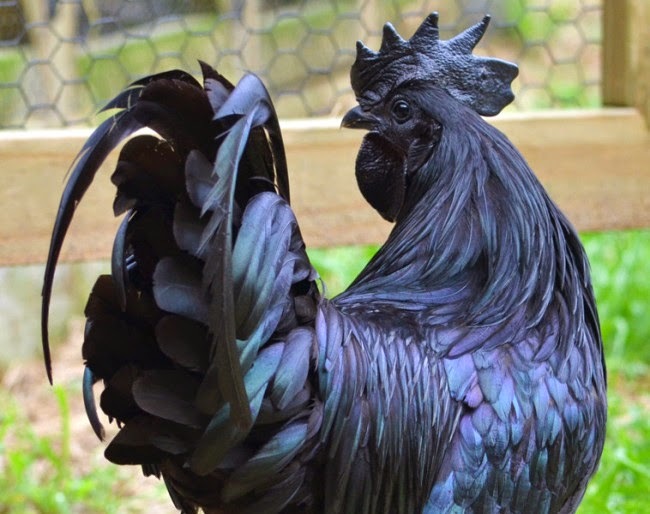 This breed of chickens comes from Indonesia and is called Ayam Cemani which means "completely black chicken" in Javanese. 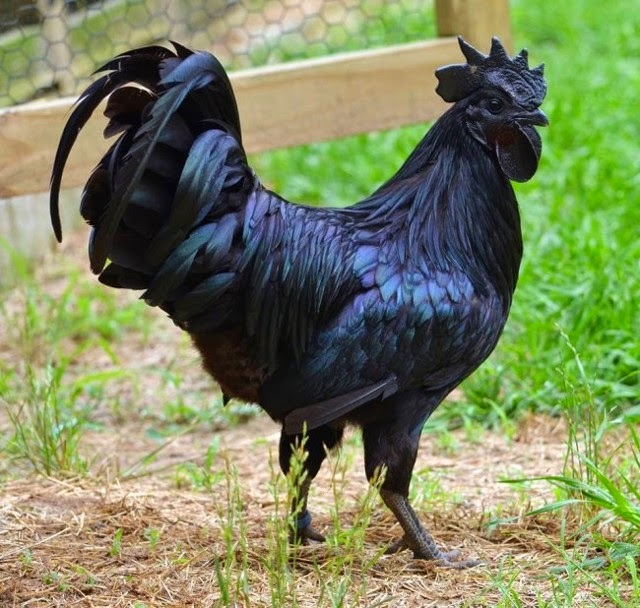 Its name is the literal description of it as it is completely black including its feathers, eyes, tongue, beak, legs, nails, meat and organs. It looks extremely beautiful and otherwordly but a single one of them costs around 2000 euros. I'll stick with the common whitish ones.